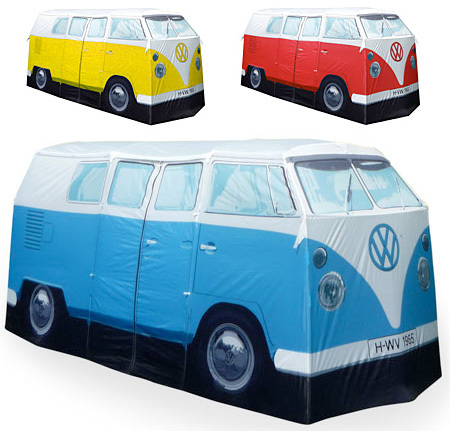 Unique camping tent is a full-size replica of the iconic 1965 VW camper van. Does it come with a cardboard cutout of Hurley? Love the notes on the pre-order site. These are incredibly entertaining and I would buy one. $486? Holy…. Love the look, hate the price! Its like, totally going green, man… It’s like the 70’s all over again… RADICAL, MAN!!! 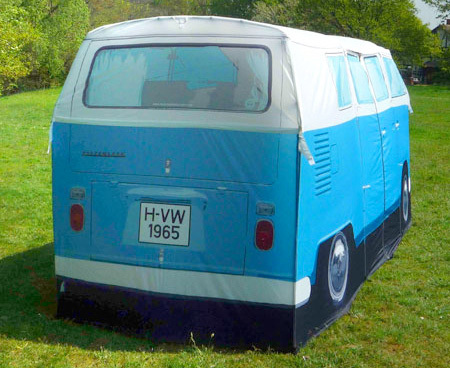 You could almost buy the real thing for the price of that tent. It’s still amazing tho. 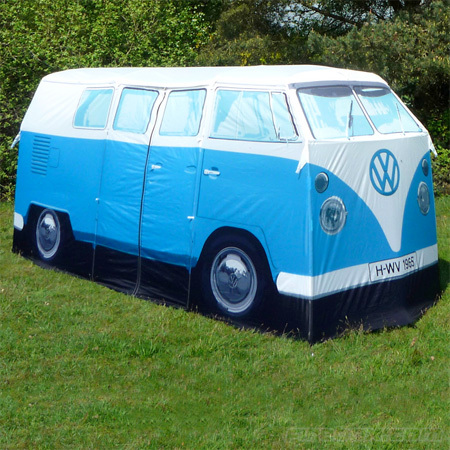 Do I need to have a van license for that? I wonder if it is made ith cheap vinyl and crappy fiberglass poles? For that price it should be canvas with aluminum poles! Agreed!!!! This is sweet!!!! But I sure as heck wouldn’t pay that kind of money for it. When the price comes down to about $200 I,ll buy one. Till then I don’t think they will be selling too many of them. They Look awesome!